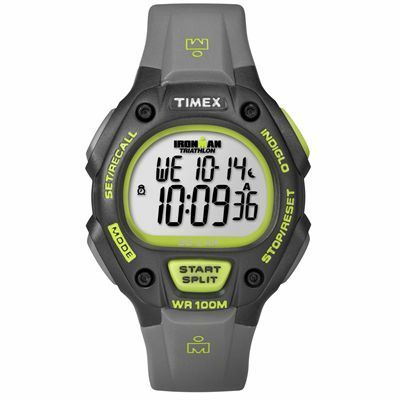 The Timex T5K692 men’s Ironman traditional 30-lap watch is designed for triathlon sportsmen and water resistant to 100m. The watch has an alarm feature and 3 time zones, which makes it also an excellent choice for enthusiasts of extreme expeditions. It features a chronograph and a 30-lap memory recall. It is made from plastic/resin and equipped with a stylish grey rubber strap. The watch is powered by a chronograph quartz movement and has an LCD display that can be easily read also in the dark due to INDIGLO® night-light feature. for submitting product review about Timex T5K692 Mens Ironman Traditional 30-Lap Watch.